Andalusia is the perfect destination! 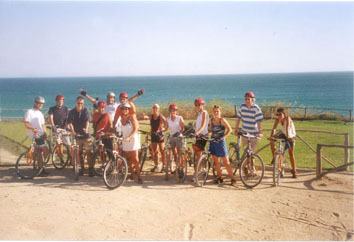 ......... we offer bike tours for all levels. There are natural, dusty ways, or secundary small asfalted roads. The easy tours will go in moderate speed (depending on the group), and on mostly plane routes. The sportiv tours lead us to more hilly terrain and have a longitud of 50 km or more, using countryside and coastal paths. the local food eating one of the small "tapas". 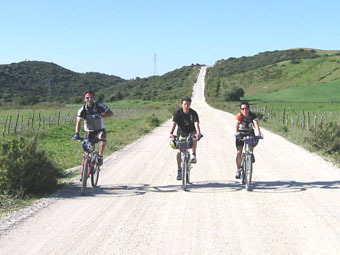 is one of our cycle tour proposals for groups. The daily changing acomodations are prereserved according with the routing. We choice small, familiar hostals or countryside houses in typical andalusian style, but this could variate. We are especialized en organization of alternativ Andalusia cycle and sport vacations, including cultural itinarys.